What you do after a car accident will determine how easy it’ll be to file a claim with your insurance company or prove an auto accident personal injury case. Reading this article before you’re involved in an auto accident will also protect you from being sued by someone claiming to have injuries the day after. For more information on legal liabilities after an auto collision, be sure to contact an experienced personal injury attorney in your area. In this blog post, we will go over the 5 steps to take after a car accident. Move your car off the road if you are able and turn on your hazard lights. If your vehicle is unable to move, just turn on your hazard lights. It’s important to make sure other cars will be able to see the scene of the auto accident so they can avoid it, especially if visibility is limited. The hazard lights will tell other drivers to go around you. Make sure it’s safe before getting out of your vehicle. It’s not unheard of for car accident survivors to get hit by traffic when trying to get out of their vehicles. Are you okay? Check yourself for auto accident injuries and don’t brush off any dizziness or tiredness, which could be signs of traumatic brain injury. There have been cases of people feeling okay after car accidents only to go to the hospital later for internal injuries. Check on your passengers and see if the other driver and their passengers are okay. Call 911 for even the slightest injuries. The most valuable piece of evidence you can show your insurance company is a police report, which is why it’s important to call the police immediately after an auto accident. Be sure to cooperate with law enforcement officers and answer all their questions truthfully. Avoid admitting fault in the accident or blaming the other party. The police will be able to write their report of what happened based on the facts, not accusations. If there are no injuries resulting from the collision, the police might not arrive at the scene. In this case, you would need to file an auto accident report with the local DMV. While you’re waiting for the police to arrive, you’ll want to be taking down as much information as possible. If you have your smartphone with you, you’ll want to take as many pictures of the accident as possible. Photograph any damage to your car or to the other party’s car. Also photograph any other damaged property such as fences or signs. If they’re any witnesses to the accident, be sure to get their contact information. All this information can prove invaluable when filing an auto insurance claim or trying to win compensation for auto accident injuries. Call the number on the back of your auto insurance card. The representative on the other end will tell you everything you need to know to file a claim. Your insurance company should work with you so you can get your car repaired as soon as possible. If your insurance is unwilling to pay, we recommend calling an experienced personal injury attorney. The East Lansing personal injury attorneys at Foster & Harmon, P.C. want to make sure you receive the compensation you deserve following an auto accident. 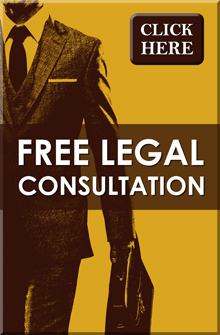 If you would like to schedule your free legal consultation, give us a call at (517) 337-4600.